On Friday, electronic giant Microsoft officially purchased Nokia's Devices and Services division, which from now on will be known as the Microsoft Mobile and the Devices Division and managed by former Nokia CEO Stephen Elop. The buyout cost Microsoft a whopping $7.5 billion, just a little more than the $7.2 billion that Nokia announced back in Sept. 2013. While Nokia and Microsoft's decision has had its critics, this buyout might be a solution to the recent lag in cell phone innovation — and good news for consumers, too. Now that Microsoft and Nokia phones can combine each others' strengths, we can look forward to more variety, quality, and innovation in the cell phone supply on the market. For example, given that Nokia uses Android sets, Microsoft is now more likely to work with more products that use non-Windows platforms, which will be good for all of us that have transitioned to almost exclusively using Google and Apple products — for example, how many of us still use Microsoft Windows instead of Google Documents or Pages for Mac? We're not much of a Windows-friendly society anymore, and globally, Windows use has dropped by 40 percent. The buyout, along with Microsoft CEO Satya Nadella has expressed a willingness to work with non-Windows platforms, means that consumers will have more options that we'd be more wiling to buy. 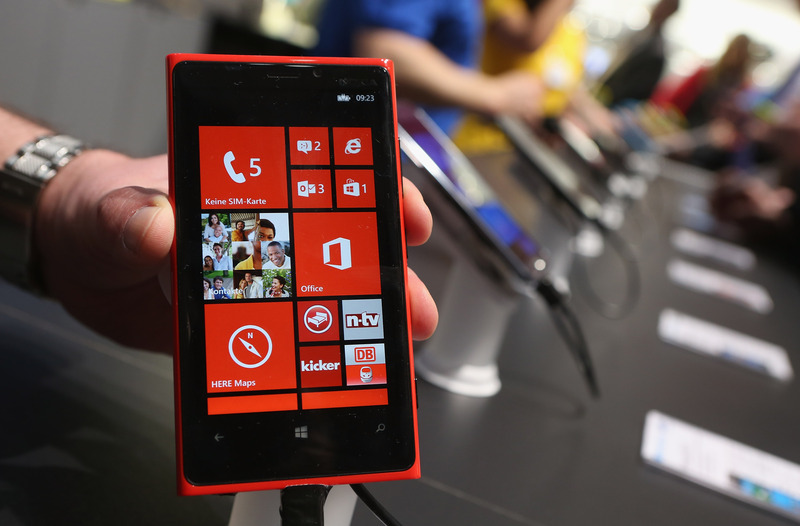 Additionally, Microsoft's financial and social power in the U.S. can give Nokia phones the U.S. market it never had. Nokia is pretty well-known for its beautiful aesthetic (just take a look at Nokia's Android phones) — but, unfortunately, U.S. consumers in the past haven't had as much access to these aesthetically beautiful cell phone designs. While Nokia may have been named the world's largest mobile phone manufacturer in 2012, its presence in the U.S. market has been pretty low. At the end of 2013's second quarter, Nokia made up 1.4 percent of the U.S. smartphone market, although it increased to 4.1 percent in the third quarter — which is around the time when Nokia and Microsoft made an unofficial announcement of the buyout. Now that Microsoft has sealed the deal with Nokia's phone division, we can hope to see more of these well-renown Nokia aesthetics on the market. We'll still have to wait and see what comes of this buyout, but it's likely we won't be disappointed.